Symptoms could take between three to eight weeks to appear, but by then it is usually too late to be vaccinated, said officials. Health officials in Vancouver are searching for a man who came into contact with a bat that was later confirmed to have rabies. They say the man may need to be vaccinated after he handled the bat in Stanley Park's Lost Lagoon on Aug. 26. Transmitted through saliva — usually by an animal's bite — rabies is a virus that affects the brain and nervous system. If not treated in time, it is almost always fatal, says the BC Centre for Disease Control. Symptoms could take between three to eight weeks to appear, but by then it is usually too late to be vaccinated. The brown bat was found in a camping coffee pot on a bench, along with a note written in chalk, said the Wildlife Rescue Association. The message indicated that the bat had been stepped on by accident. "Our guess based on the coffee pot used is that the person may have been homeless, with no idea what to do for the animal and no means of communication to call any type of authority," said the rescue group. "At least they got it contained and left it in an obvious place with a note describing the cause of damage rather than leaving it injured on the ground. We just hope they contained it safely (no physical/close contact)." Park rangers called the Wildlife Rescue Association which safely removed the animal for assessment. The bat was euthanized and then sent to a lab for testing. Results showed it had rabies. The person who handled the bat near Lost Lagoon is asked to call health officials at (604) 675-3900. “Trying to find this person is a little like looking for a needle in the haystack,” Dr. Reka Gustafson, Vancouver Coastal Health’s medical health officer, said in an interview with The Vancouver Sun. 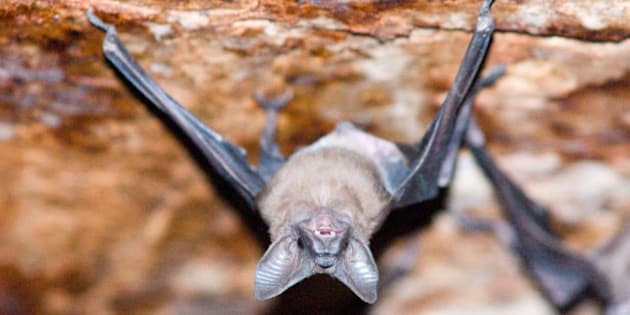 Dr. Cori Lausen, a bat research biologist for the Wildlife Conservation Society Canada, told CBC News that if a bat is on the ground, it's a sign that something is wrong because they "don't roost on the ground," she said. The most recent human case of rabies linked to bats was in 2003 and it was fatal, said Vancouver Coastal Health. If the bat is still alive and available, have a wildlife expert capture it and contact VCH at 604-675-3900 for testing. If the bat is dead, simply contact VCH.